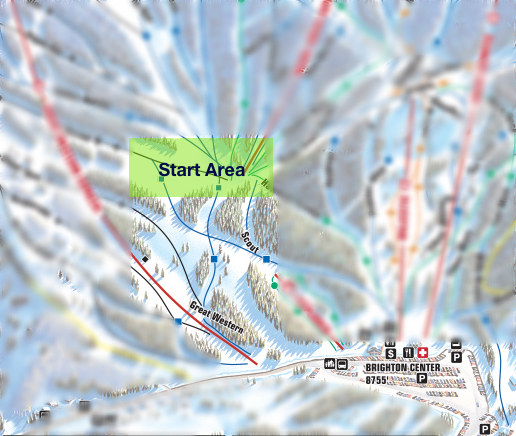 Tuesday’s race will start part way up Great Western, at the first flat near the Snake Creek Express lift. Note that it is a roughly 400-vertical foot skin to arrive at the start of the race, and please arrive a early enough so that everyone can get checked in and be up to the starting line before 7 so that we can being promptly. As always, if you can, please join us at Molly Green’s for food giveaways.